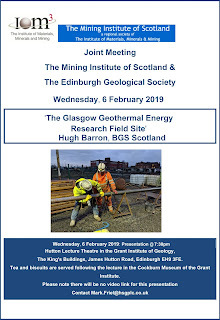 6 February 2019, 7:30pm, Hutton Lecture Theatre, Grant Institute of Geology, Edinburgh, Scotland. 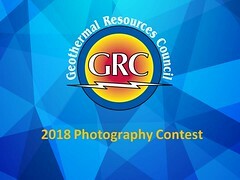 The British Geological Survey (BGS) and Natural Environment Research Council (NERC) are developing two world-class subsurface energy research test centres in the UK, one of which is in the Clyde Gateway area in the east end of Glasgow. This Glasgow Geothermal Energy Research Field Site is part of a £9M project to study low-temperature geothermal energy from the flooded mine workings below Glasgow.